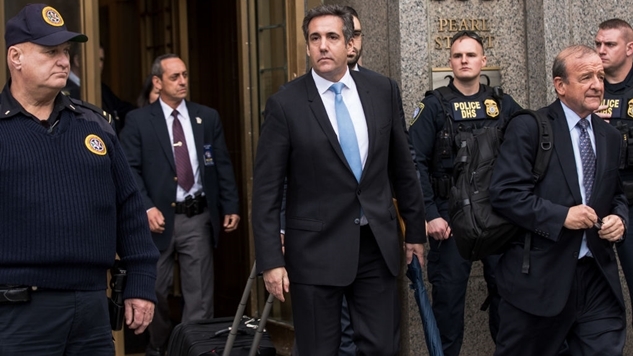 Last week Michael Cohen, as part of a plea deal with Special Counsel Robert Mueller, said he’d lied to Congress about negotiations involving the development of Trump Tower Moscow. Those discussions, according to Cohen, went on longer than he led Congress to believe: They ended in June 2016, well after Donald Trump had locked up the Republican nomination. And thanks to that public revelation, we now have a way to get directly to Trump’s role in the conspiracy that doesn’t rely on reports citing anonymous government officials or the Steele dossier. This is all evidence that we know. 1. Don Jr.’s Trump Tower meeting was in June 2016. 2. It concerned lifting sanctions on Russia, including on Russian banks, in return for dirt on Clinton. 3. Trump needed bank sanctions lifted to do any Trump Tower deal in Moscow. 4. Per Cohen, we know the Trump Tower Moscow negotiations also ended in June 2016—the same month as Don Jr.’s Trump Tower meeting. Most importantly, though: 5. Trump, as CEO, who had given negotiations the go-ahead initially, would have had to agree to end those negotiations personally. To put it simply: This is one concrete instance where Trump shifted his campaign interests and business interests to work on behalf of Russia. It’s worth mentioning here that Trump had tried to do a Trump Tower Moscow deal earlier, after his 2013 Moscow visit during the Miss Universe pageant. The people he tried to do that deal with—Russian real estate developers Aras and Emin Agalarov—just so happened to be the same people who set up the June 2016 Trump Tower meeting with Don Jr.
We also see June 2016 as at least one certain point where the hacking conspiracy and the business conspiracy sync. Also note that both of those plans went through Putin, and both also went through Trump’s developer friends. Now, it was evident from the jump that Trump didn’t want to be president. He clearly still doesn’t. In fact, Steve Bannon told Michael Wolff for the book Fire and Fury that on election night, he saw Trump morph from “a disbelieving Trump and then into a horrified Trump.” Wolff added that “Melania was in tears—and not of joy.” Or simply just watch Trump’s reaction for yourself. But it also seems like Putin didn’t care whether Trump won. Sure Putin wanted sanctions lifted, but above all he wanted to to destabilize the U.S. and the Western order (as well as humiliate Hillary Clinton). So even if Trump lost, Putin over the course of 2016 successfully created a massive rift in U.S. politics and government that would have crippled a potential Clinton presidency. (Remember also Trump’s threats to call the election “rigged” if Clinton won.) Though Putin wouldn’t have gotten sanctions relief out of a Trump loss, he would have gotten a lot from this investment anyway. And it would have been thanks to Trump. And Putin did indeed thank Trump before the election was over. On Election Day, when no one including Trump thought he would win, Russia extended four Trump trademarks, including for hotels. Again: on Election Day. And just a few days ago, Trump defended his choice to pursue deals in Russia by saying, “There was a good chance I wouldn’t have won,” and so would have missed out on business deals. But Trump has until now always denied he was doing business in Russia. He’s also repeatedly mocked 2016 election polls for anticipating he would lose. I’m certain that there’s more evidence of Trump’s role in the many other dimensions of the conspiracy, but in light of the recent news from Cohen, this route seems likely the first that the public will see of Trump’s personal involvement. Obviously Cohen knows all these answers, and so would Mueller.